I get it, you donât want to plagiarize. Can you try paraphrasing? I enjoy your podcast but simply cannot listen to your stopping and starting with âQuote......and Unquote over and over. I listen to a lot of podcasts and some way, some how, the other casts that are quoting people find a way around it or do a much better job of it. It ruined your podcast for me. I love this podcast so much, and I anxiously await for each new episode. Some people say that their voices are kind of robotic, but i donât mind it. Greg has a lisp that annoys me at times, but he canât be blamed for it. Iâm still going to give them five stars because the podcast is very interesting. I listen to this while Iâm working and it totally helps my day go faster! One of my 3 favorite podcasts! Thereâs no off-topic chit-chat, just the facts with a little psychoanalysis of the killer. I feel like the podcast would be better if they actually had someone who had psychological or psychiatric training or a CJ background. Love this show! Wish there were more then one a week! The shows are always so dynamic and informative, itâs so nice to have something to learn but isnât loud or overly energetic. My boyfriend and I travel for work and binging this show is honestly the best way to kill the long hours traveling. Gregg and Vanessa have the most soothing voices and are so mellow this show really keeps you calm in traffic! I started listening to this podcast while at work, and it made the time fly by. Recently I introduced this podcast to my girlfriend. & she fell in love with it too. Now we listen every time weâre in the car together. & I never fail to say âThanks Gregâ with Vanessa every time. ð love the show and wish there were two podcasts a week. ð§ but other than that keep it up! Iâm a HUGE fan of Parcast, and this series is just as great as the others! Favorite serial killer podcast! Exactly what I was looking for! Love this podcast. If you are interested in serial killers. This podcast is a must!! I listen to Serial Killers every week on my long drive. Each case has a good setup to allow the listener to fully understand the psychological reasoning behind these killersâ crimes. This podcast reminds me of an audio fictional version of criminal minds, which is my favorite show. Parcast sllways does a good job. Don't relly need multiple hosts, but if thats the way they fly thats fine. Boring ham handed attempt at mystery. Really poor attempt at creating psychologically thrilling drama. The host or just not interesting. I like this podcast, but the parcast network has another podcast named âunsolvedâ and it has re-enactments with voice actors. It makes the stories more interesting to listen to. It would be nice for this podcast to do the same. Never listened to podcasts before, but these have me gripped! I love how deep they dive into the psychology of these people. Yes, the stories can be tough to listen to sometimes, but they always have warnings in place. They do a great job at explaining why someone might do the things they do. Great listen! Why does Greg sometimes sound like he gets turned on by murderers? Full of facts & easy to follow!! Good in principle, bad in execution. Updating this to one star because they are now teaching Freudâs theories as FACT. Literally anyone who studies psychology knows Freud is important, but was wrong in almost EVERYTHING, especially his Oedipus complex, which is what they pass off as fact in the Gary Ridgway episode.The psychology and stories of serial killers is a fascinating topic to me, but the hosts simply do not present it well. 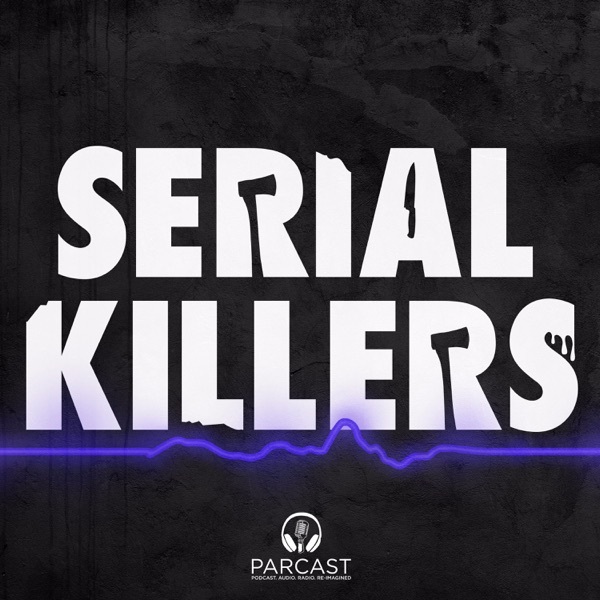 I listen to this podcast because I love to learn about different serial killers, but I want to punch a hole through my phone hearing their voices. Vanessa literally adds nothing, and it drives me berserk that she is not a psychologist. Could they have not gotten an expert to actually analyze serial killer psychology well? All she adds is extremely obvious stuff that anyone knows about serial killers...they had a traumatic childhood, they're repressing memories..blah blah. They are also way to gung-ho for justice, and feign "disgust" far too often. The only good thing is the stories of the killers themselves. If you like casefile or sword and scale youâll love this! Story type true crime podcast with no nonsense in between. I hate when podcasters have small talk, share their opinions or make jokes in between and this has none of that! Very detailed and you can tell the hosts are passionate about the stories theyâre telling. Give it a listen! I HIGHLY recommend this podcast. Greg and Vanessa work well together, no senseless chit chatting that waste time and is extremely frustrating like many others. As weird as it sounds their voices are nice and the music is apropos and not loud where you have to adjust the volume. UgggggTheir stories are captivating , in addition they are not the same stories that everyone else broadcasts. I donât know why they received 4.5 stars when they deserve 5+.Keep up the GREAT WORK!!! You guys rock! I typically enjoy this podcast but the guest host Carter is so dry to listen to it made it hard to finish. Iâm sure he can improve but he just sounds like heâs reading without any feeling at all. What is up with the 6 robotic voices. I'm a fan of this podcast and of Par cast but this latest episode was driving me crazy. Why would you choose 4 or 6 voices that sound the same? Very interesting and enjoyable. They do a great job. Scripted two-part stories about serial killers.The information is fascinating, the details and research that must go into it are extensive, and the writing paints a good picture for those of us who are more visual learners. The cadence/tone of the hosts and disclaimers in every episode used to irk me, but theyâve grow on me and Parcast even makes merch poking fun at themselves. I now look forward to hearing about the research Vanessa has done.So like olives or blue cheese or coconut, people either love Serial Killers or they hate it. Having sampled other similar podcasts, I find myself always coming back here. I see a lot of comments about how the show is reading a script. Who cares. Itâs interesting and not unlike watching a documentary. For those who care about that, you listen to far too many podcasts and youâre super picky. This is a better true crime podcast. They do the work and they present it. Thereâs no chatting between hosts about something entirely unrelated. Just facts. I posted a fair (if snarky) 1-star review of this pathetic podcast and it has yet to appear. Know why? Because Parcast is probably greasing palms with Apple to keep the reviews high. Shady. I love serial killer documentaries, so this podcast is perfect for me! Other similar podcasts are too much to listen to while driving, cleaning, etc, but this one gives me everything I need/want. I like that itâs only two people talking, the consistency makes the audio quality fantastic. It feels as if I was watching a documentary and that is exactly what I wanted while searching for serial killer/crime podcasts. Iâm obsessed!! My go-to podcast series. I used to love watching specials on ID and this is the podcast most similar to that content. Thereâs no small talk or personalization to the content like some other true crime podcasts. I prefer the more fact and researched based approach. Iâll check out the other parcast podcasts based on how much I enjoy this one. Love the podcast! Canât wait for the next episode every week! The content is good but itâs WAY too scripted, formal and robotic. LOOSEN UP. Thereâs also no need to have a disclaimer every every episode that Vanessa isnât a psychologist. The topics and stories are very interesting. The scripted robotic reading gets old. I donât know what the thing is when they say they will continue after XYZ and then it goes right back into the story. I suppose I should be thankful for that. And does the guy really need to give the ridiculous announcement about her taking over the psychological part but she is not a blah blah but has done a whole lot off research. So, in short, yes, I like it but no, I donât love it and never could. I really enjoy this podcast, I look forward to it every week. You can get burnt out on voices and Iâve had enough of these two. They are on too many podcasts and every one sounds the same. Monotonous and syrupy sweet. Haunted Places is worse. Unsubscribing from both. Canât stomach the repetition.